As the Official Race Season has drawn to an end we would like to thank everyone for another successful sailing season! Please remember to sign up for our Annual Sailing Night Banquet by emailing manager@kingstonyachtclub.ca. The Banquet will be held on Saturday, November 5th, 2016. The annual Thanksgiving Cruise is to take place at the club property from Saturday until Monday. Saturday night will be a wine and cheese on the dock and an optional pot luck supper. Sunday night is to be the official thanksgiving dinner with the traditional BBQ turkey with contributions from members attending. All interested members are asked to please email the Commodore at commodore@kingstonyachtclub.com before October 6, 2016 to ensure enough food is purchased. Still on Tap... but almost gone! The 2016 Canadian Youth World Sailing Team has been announced. Please help us to cheer on Arie Moffat who has made the 420 Boys team. The teams will be making a journey to Auckland, New Zealand from December 14-20th. You can find more information on the Sail Canada website. Our temporary race marks will be hauled out next week. If you would like to help on the water or on shore, please email John Vines at jvines@bell.net. Nomination forms (including criteria) are available online on the "Sailing / Racing / Keelboat Racing" KYC web site page and at the bar. 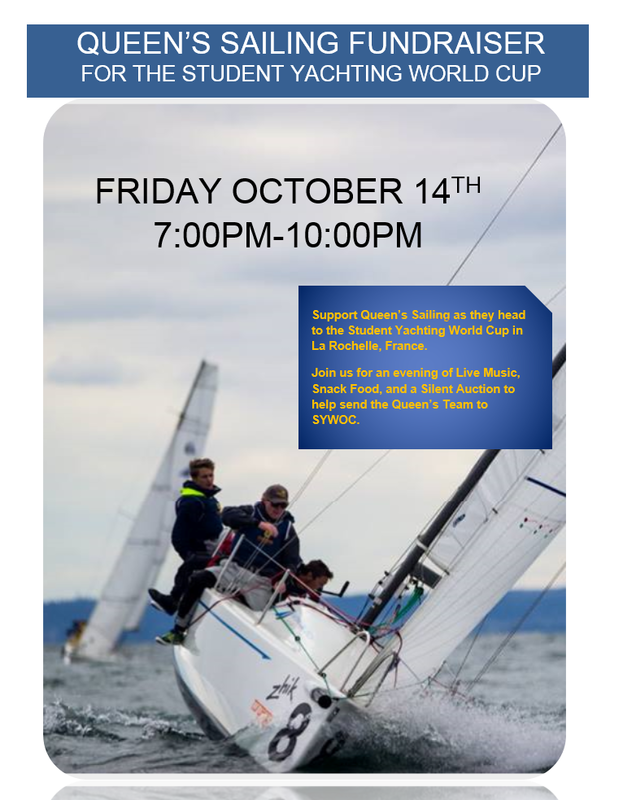 Please complete and return forms to the Race Office or email to race@kingstonyachtclub.ca by Wednesday October 12. If you have photos you'd like to share in the slide show, please email to ken.martin@kingstonyachtclub.ca or drop of at the office. The committee is getting back to work on improvements for next year's racing & cruising programs and planning winter events. If you are interested in helping out on this committee, please email ken.martin@kingstonyachtclub.ca.